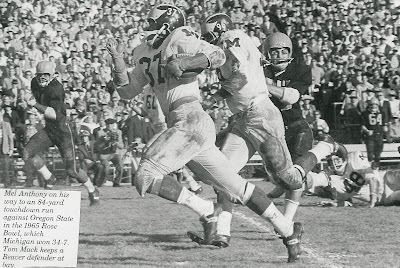 This is just one of a large number of black and white source photos that helped me reach the false conclusion that Michigan wore yellow jerseys in the 1964 season, which they didn't! 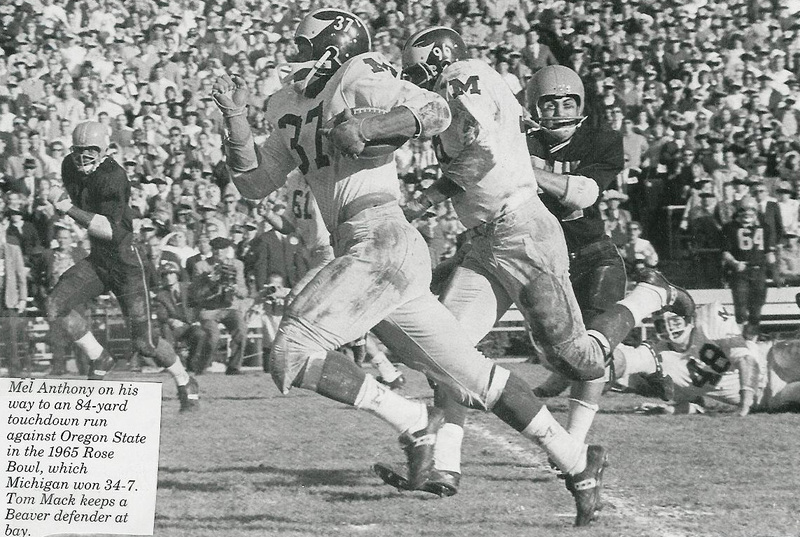 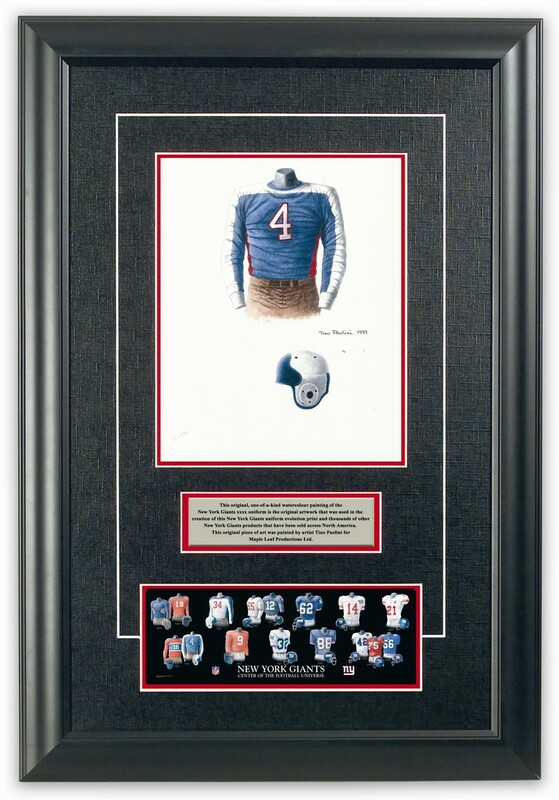 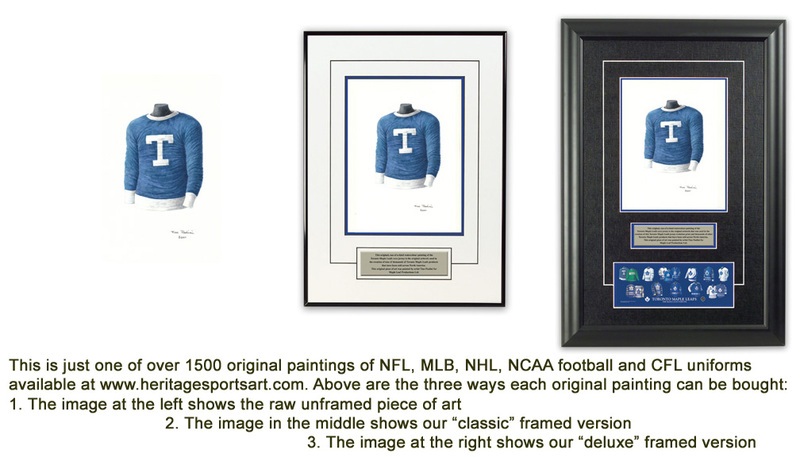 This photo is from the January 1, 1965 Rose Bowl in which Michigan beat Oregon State 34-7. 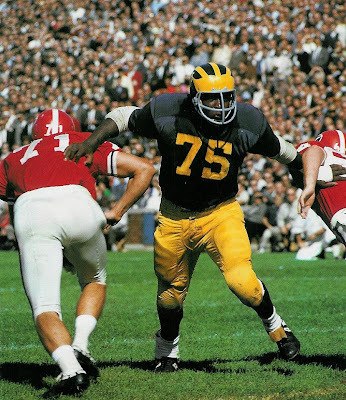 This is a great color photo of Michigan's home uniform as worn on Oct 2, 1965 at home vs Georgia. I include it here simply because it's such a great color photo of the uni and helmet from this era (#75 for Michigan is the great Bill Yearby who sadly passed away in December 2010 - he was a U Michigan All-American in both 1964 and 1965 and Wolverine MVP in 1965).